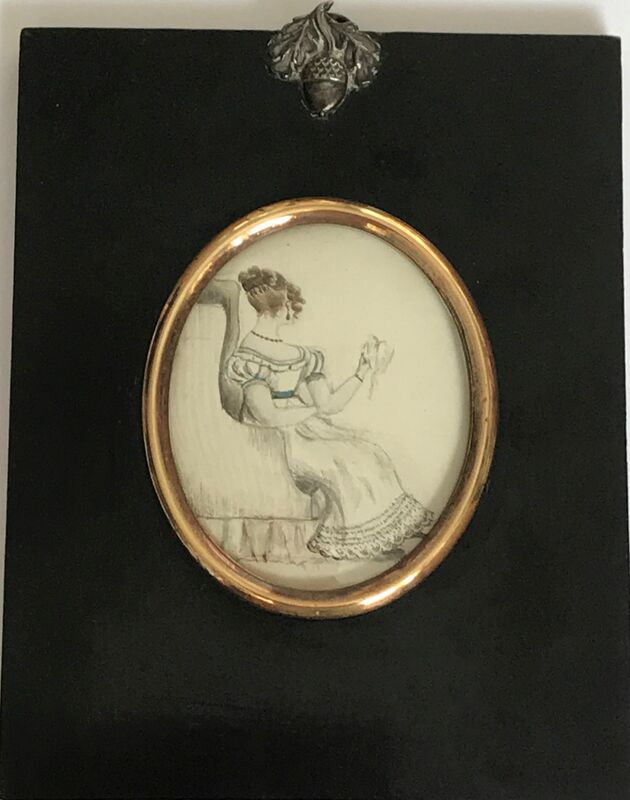 A curious and fun watercolour sketch of a shy young lady, elegantly dressed and with her hair upswept, seated in an armchair but determinedly turned away from her artistic admirer. 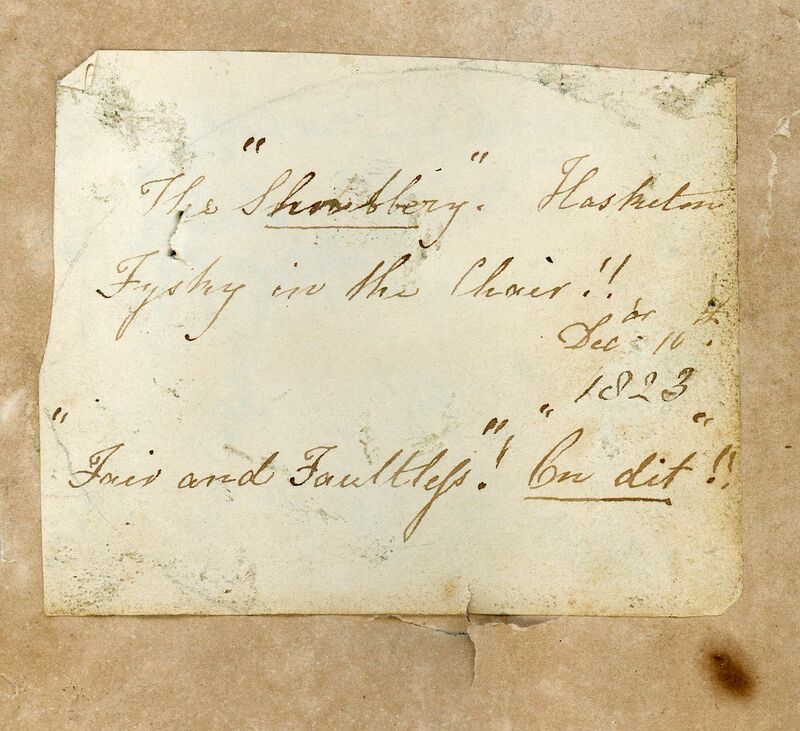 A cryptic inscription on the back describes her as “Fysky in the Chair!! Fair and Faultless”. 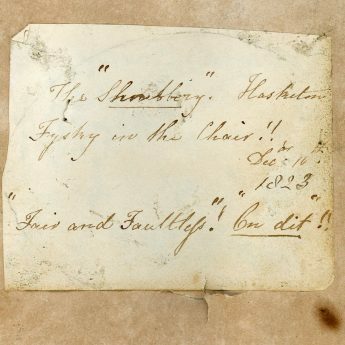 The portrait was captured on 16 December 1823 at ‘The Shrubbery’ in Hasketon, Suffolk. The sketch resides in an ebonised frame with a brass surround and a traditional acorn hanger.